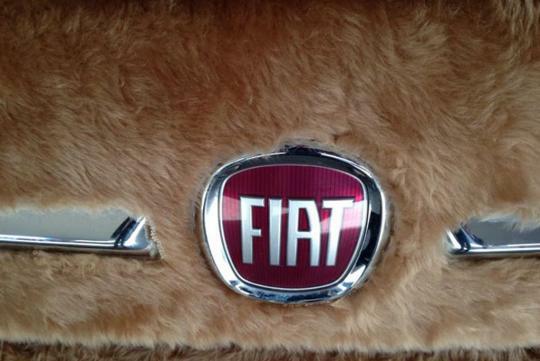 > Fur-wrapped Fiat 500. Cool or uncool? 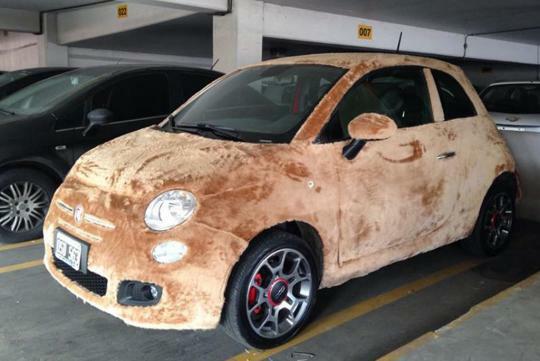 Fur-wrapped Fiat 500. Cool or uncool? 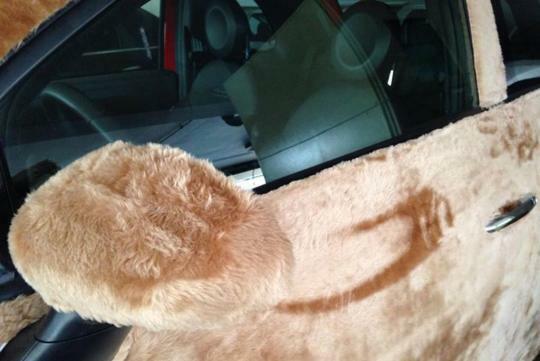 We have no idea why would someone want to wrap his or her car with (likely) man-made fibers to replicate the furry-look. Spotted in Argentina, this Fiat 500 owner must love fur a lot. Stray cats will love it. I would like to see how does it look like after it's soaked in the rain .. Probably like a wet dog. I wonder it has a "vibrate function" to shake of the water like a dog. There's a car in Sg that is wrapped in some form of super black velvety material.. Not sure how he'd feel after parking long periods under the sun but hey, different strokes for different folks!